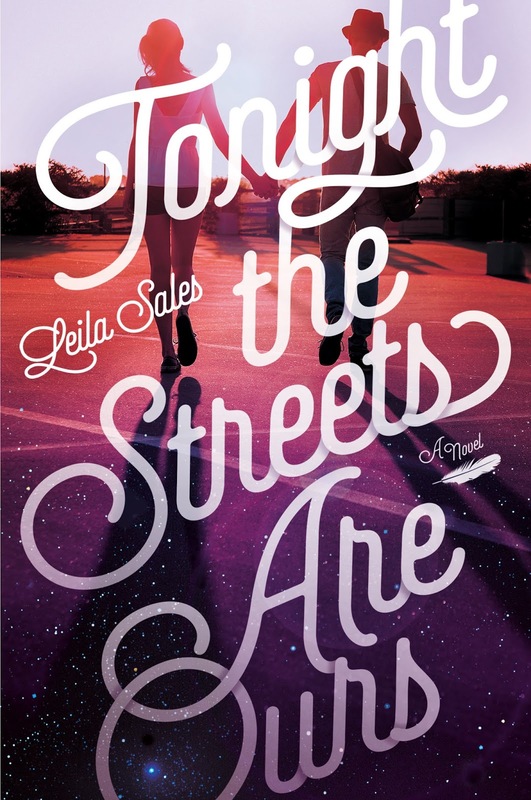 To celebrate Leila Sales' newest book, Tonight the Streets Are Ours, Leila is here on the blog to answer a few questions. But, she's also asking me a few questions of her own, because the novel is about seventeen-year-old Arden, who takes a road trip to meet her favorite blogger, Peter, and discovers that he isn't exactly who she's made him out to be. TCR: What are some of your favorite love (or rather, relationship) stories set in the digital age? LS: This is an interesting question, because it’s making me realize how many YA novels’ plots don’t use the internet in any significant way. I guess that’s because scenes can be more dramatic when they happen in person. And authors who didn’t have messaging and social media when they were teenagers themselves may not know what impact the technology has on teens today. Of course there are excellent digital age stories out there. Ernest Cline’s READY PLAYER ONE was so engaging and did a great job of balancing an author’s nostalgia for the 1980s with the internet era. UNFRIENDED, by Rachel Vail, does a great job showing how the tried-and-true middle school hierarchy and popularity battles are affected by social media. TCR: Music played such a big role in your previous novel--can you share a song (or a few songs) that you listened to while writing Tonight the Streets Are Ours? LS: The book’s title is taken from the Richard Hawley song “Tonight the Streets Are Ours,” so I listened to that one a lot! Also “Tourist,” by RAC; “Hey Jealousy,” by the Gin Blossoms; and “Dancing in the Moonlight,” by Thin Lizzy. All those songs remind me of being a teenager and a little melancholy, and being out in the world—maybe when you’re not supposed to be. TCR: What was your favorite scene to write in Tonight the Streets Are Ours? LS: Pretty much all of Arden and Peter’s big night together was a blast. In the scenes before that, I had to establish what Arden’s conflicts and relationships are, and how she reaches this breaking point where she runs off to New York in pursuit of a stranger. In the scenes after the big night, I had to explain and resolve things. But that night just hovers in between. It’s like the apex of a dive, the bit where you feel like you’re flying, before you hit the water. LS: What's your favorite comment you've ever gotten? Hm, I don't know if I can pinpoint one exact comment. I've been blogging since 2007 and so much has changed in how bloggers and readers interact since then. These days I'm more likely to get an @ response on Twitter than a blog comment. But my favorite types of comments are the ones that engage with a post. LS: Have you ever written a blog post that you later regretted? No, there's never been one specific post I've regretted. But since I've been blogging for nearly eight years, I do sort of cringe when I think back on some of my earlier posts. I was a different person and a different reader, and any blog reader can go back and bear witness to that. That makes me feel a little vulnerable, but at the same time, I don't want to take anything down. LS: What's one piece of advice you'd give to someone thinking of starting their own blog? I suppose it's the same advice I'd give anyone who wants to write anything, and that's: Find your voice. And while the connections you make online are amazing, blogging is not a competition. Above all, be kind. LS: For how long have you been a blogger, and what inspired you to start blogging? I've been a blogger since 2007. I was a high school student, and I loved YA fiction. Unfortunately, the rest of the people in my small town had yet to jump on the YA bandwagon, so I went to the internet to find other YA-lovers. LS: What's your favorite post you've ever written? I've written over 2,500 posts, so it's impossible to pick a favorite. But I am proud of a post I wrote last year pointing out a ridiculous trend in YA book covers featuring lesbian protagonists. It got a lot of attention, and a few industry professionals tweeted or emailed me to say thanks, and one even said she took my blog post to a cover meeting. LS: Who's your favorite blogger to read, and why? I really enjoy ForeverYA. Their reviews are smart, funny, and they're on-target. Tonight the Streets Are Ours will be out next Tuesday, the 15th! Join in on social media with #TonighttheStreetsAreOurs. Visit Leila’s website and follow her on Twitter! On Saturday, September 19th, let us know about your nighttime adventures using the hashtag #TonighttheStreetsAreOurs. And find out what Leila’s doing that night on the Facebook Event Page. Fill out the form below for a chance to win a copy! Great interview! Leila is awesome. 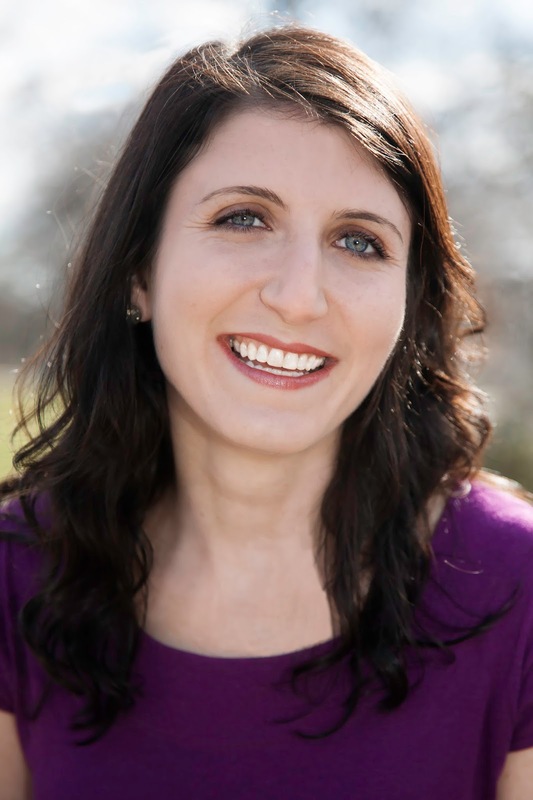 "This is an interesting question, because it’s making me realize how many YA novels’ plots don’t use the internet in any significant way." --I totally agree. I guess the issue of seeming dated also is something to consider. While YouTube, Google, etc. are huge and long lasting, other sites come and go. Thanks for the interview! It's so neat to see that she started out as a blogger too.